The nutrition news about the health benefits of nuts keeps growing, so if nuts aren’t a regular part of your diet, it’s probably time to go nuts for your health! 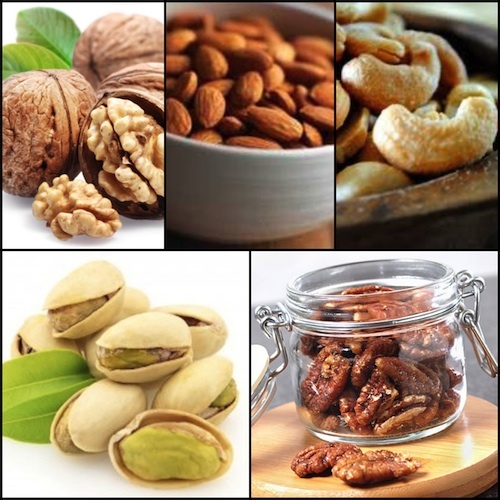 Many people believe they can’t eat nuts because of their fat and calorie counts. However, nut-eaters are, on average, actually thinner and have less ab fat compared to those who don’t regularly eat nuts. In addition, snacking on a handful of nuts is one of the best ways to calm carb-cravings. All nuts are nutrient-rich and provide unsaturated fats, fiber, vitamin E, B-vitamins and more than 20 other vitamins, minerals and antioxidants. Here, we crack open the nutritional and health benefits of your favorite nuts. Almonds are always one of the nuts that are at the top of the list for health and nutrition. And for good reason. 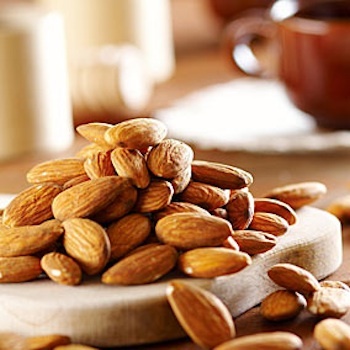 A serving of almonds provides 35% of the vitamin E you need daily—more than any other nut. A serving also has six grams of protein and 3 grams of fiber. Numerous studies have reported that almonds help lower harmful LDL-cholesterol levels due to their nutritional profile, including their phytosterol content. Recent research showed that adding 2 ounces of almonds (about 44 almonds) per day to the diets of individuals with pre-diabetes significantly improved blood sugar responses and blood insulin levels while reducing harmful LDL-cholesterol levels. Enjoy a handful as is or as part of a trail mix or make some spiced nuts. Brazil nuts are not only the largest nut (you get fewer per serving) but a serving can have nearly eight times the selenium you need in a day. The amount of selenium in Brazil nuts depends on where they were grown. If they came from an area with high-soil selenium, they can be a significant source of selenium. Selenium is a potent antioxidant that might have anti-cancer properties and may play a role in maintaining a healthy immune system. Brazil nuts are also a good source of copper, phosphorus and manganese but the nut is among the highest in total fat (19 grams per serving) and saturated fat (4 grams per serving), so it’s less heart-smart than other nuts. Because you only get a few Brazil nuts per serving, they’re best when mixed with dried fruit and other nuts in a trail mix. Cashews are unique in that they’re one of the best sources of several minerals of all tree nuts. 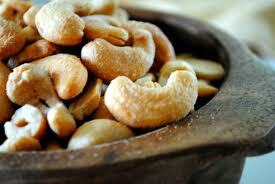 They supply zinc, copper, magnesium, selenium and vitamin K. A serving of cashews has 13 grams of fat. Cashews are not a fiber stand-out with just 1 gram per serving. A recent study found that cashews contain several flavonoids with potential health benefits. Cashews’ antioxidant levels are enhanced with roasting. Their rich and creamy taste makes them perfect to eat out of hand, but you can also pump up their flavor if you add spices to make Mexican or Thai-style roasted cashews. Peanuts aren’t nuts botanically (they’re a legume) but nutritionally, we count them as nuts. Peanuts have almost 7 grams of protein per serving which is more than all other nuts. They also have more B-vitamins than many tree nuts. They’re also rich in phytosterols, compounds that naturally lower cholesterol as well as resveratrol, the same heart-healthy compound found in red wine. Peanuts are great in trail mixes, or serve 100% peanut butter on celery, bananas, or apples. Pecans are probably one of the richest tasting nuts because they contain slightly more fat (21 grams) and less protein (3 grams) compared to other nuts. They also contain 3 grams of fiber per serving. Like[r1] walnuts, pecans are among the nuts that are highest in antioxidants. Pecans are great when spiced but I’ve found that cooking pecans up with my rainbow kale with a bit of garlic and golden raisins is a great lunch or light dinner. Pistachios may be small but that doesn’t mean they pack any less nutrition. In fact, the little green nuts have several unique benefits. Pistachios have more lutein and zeaxanthin, two carotenoids that may play a role in eye health, than other nuts. They also provide more phytosterols, a natural cholesterol-lowering compound, than any other nut. And new research also indicates how eating pistachios out of the shell helps to fool the brain so that you think you’ve eaten more than you have. Most recently, research from USDA found that not all the calories in the nuts are absorbed. Pistachios have less total fat (13 grams) and more protein (6 grams) and fiber (3 grams) per serving compared to other tree nuts. Pistachios are a wonderful snack eaten out of the shell because it’s more “mindful.” Another great treat is to make a plate of fresh and dried fruit with goat cheese and then roll the goat cheese in chopped pistachios. Walnuts are one of the most thoroughly researched nuts and results from numerous studies show that walnuts provide a variety of health benefits ranging from reducing total and LDL-cholesterol to supplying antioxidants . Walnuts s have a unique nutritional profile. They’re the only nut that contains significant amounts of alpha-linolenic acid (ALA), a plant-based omega-3 fatty acid. Walnuts provide a modest 4 grams of protein and 2 grams of fiber per serving but they rank higher in antioxidants than most other nuts. As a snack, they’re great in a trail mix but are also a wonderful addition to pesto. I recommend keeping walnut-based pesto on hand to serve with whole-wheat pasta. You can also spread the walnut pesto on crostini or whole grain crackers for a healthy snack. Freeze pesto in ice cube trays and use as needed.